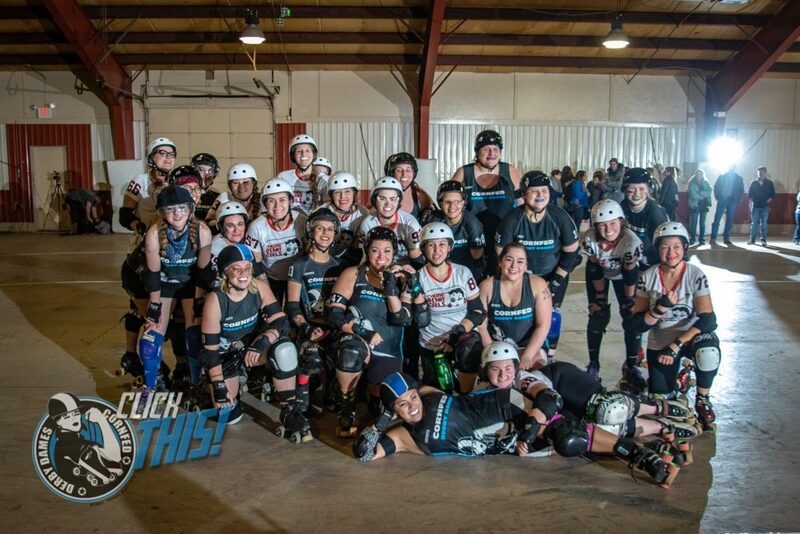 Fort Wayne Derby Girls traveled to Muncie, IN to take on the Cornfed Derby Dame Misfits on Saturday. FWDG went into this game short a few players on the bench with only 12 skaters. Cornfed rostered their full 15 with a handful of skaters having already played in the prior game of the night. 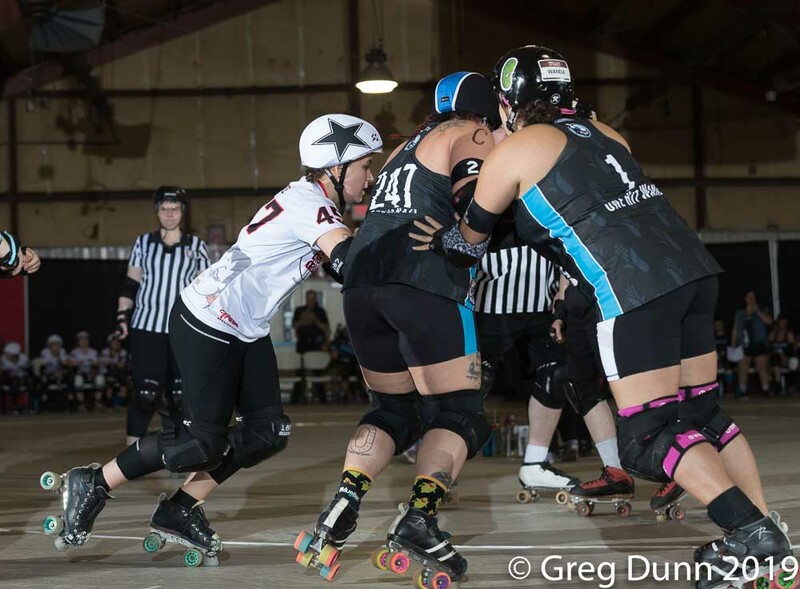 FWDG stayed to their 3 main jammer rotation for the full duration of the game consisting of Whittle, Saylor, and goryJESS. Saylor put 20 points on the scoreboard in the second jam of the night to start great momentum for the team. She ended the night with 113 points total and received the Most Valuable Jammer award chosen by Cornfed skaters. Rennagade joined in the spotlight earning the Most Valuable Blocker Award for her hard hits and amazing track awareness. Fort Wayne’s newest rostered skater to move up from training camp was Molly Mallice and she had an excellent first debut game with the team. Most memorable moment of the night was a cheering uproar as the bench went WILD after Def Shepard showed some fantastic 2 vs 1 partner blocking skills with Sasquash-ya that she has been working hard on at practice. Celebrating each others victories, no matter how small, is something you’ll often see in this sport. We even caught Unraveled KAOS having some fun while skate dancing with the opponent during an official review time out. The final score ended in favor of FWDG 204 to CDD 94. The Derby Girls hope to carry this positive momentum into their next game which is their Super Hero themed home opener on February 23 at 6pm at the War Memorial Coliseum. Tickets are now available at the box office or via Ticketmaster. Grab your friends and family of all ages and come on out for a great event as we raise money for our game day charity – Riley Children’s Hospital Reason to Dance, Reason for Hope.